The Philippine Migrants Rights Watch (PMRW) was granted consultative relationship with the ASEAN Intergovernmental Commission on Human Rights (AICHR). 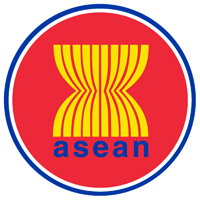 The AICHR is an inter-governmental body and an integral part of the ASEAN organizational structure. As a consultative body, AICHR develops strategies for the promotion and protection of human rights to complement the building of the ASEAN community, enhance public awareness of human rights among the peoples of ASEAN, promote capacity building for the effective implementation of human rights treaty obligations by Member States, promote the full implementation of ASEAN instruments related to human rights, and engage in dialogue and consultation with other ASEAN bodies and entities, including CSOs, among others. The Consultative Relationship with the AICHR aims to establish an enabling environment for meaningful and constructive engagement and interaction between AICHR and CSOs; further strengthen ASEAN cooperation in the protection and promotion of human rights and fundamental freedoms in accordance with the ASEAN Charter, ASEAN Human Rights Declaration (AHRD) and the Phnom Penh Statement on the Adoption of the AHRD, international human rights instruments to which ASEAN Member States are parties; and contribute to the building of a people-oriented, people-centered ASEAN Community. Being in consultative relationship, the AICHR may seek to consult PMRW through consultations, seminars, workshops, and implementation of specific studies and projects of the AICHR Work Plan. PMRW looks forward to a productive partnership with AICHR in the promotion and protection of the rights of migrants and their families.